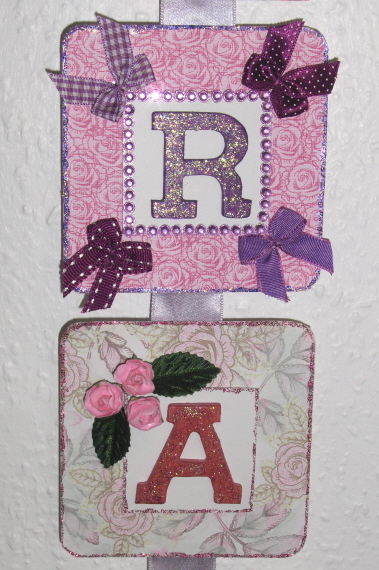 Decided to do something a bit different with one of the new Wild Rose paper packs I purchased yesterday, and made a wall hanging for my craft room. 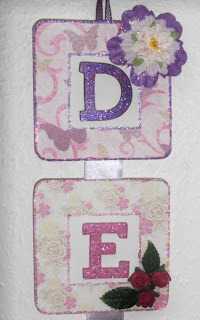 I started off by colouring the letters of my name with my Promarker pens and then added co-ordinating glitter glue to the letters. 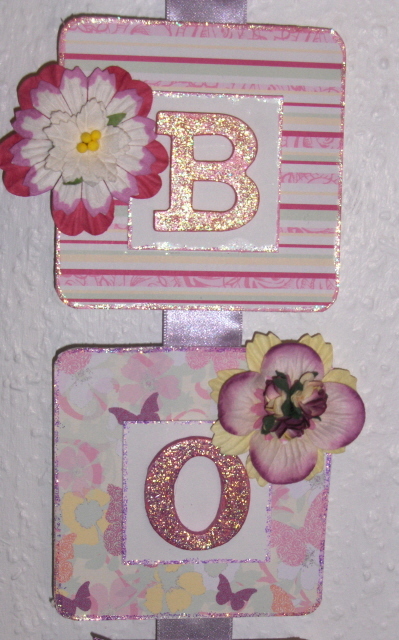 I then peeled 7 beer mats, and covered each one in a different paper out of the Butterfly Garden pack. 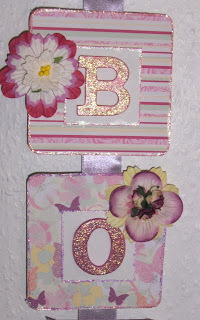 The edges were then carefully painted with glitter glue to match the glitter on the letter to be used. 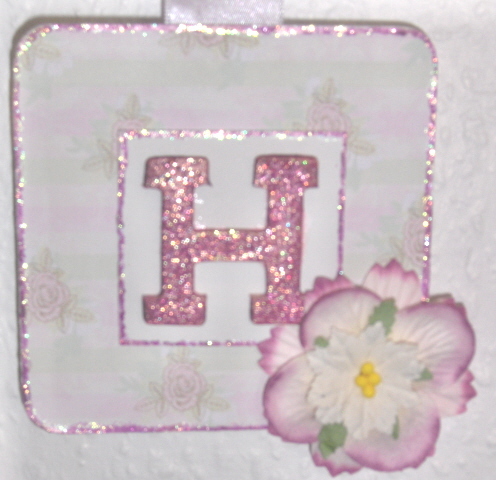 The letters were matted onto white card stock, which had also been edged in coordinating glitter glue and these were attached using 3d foam. 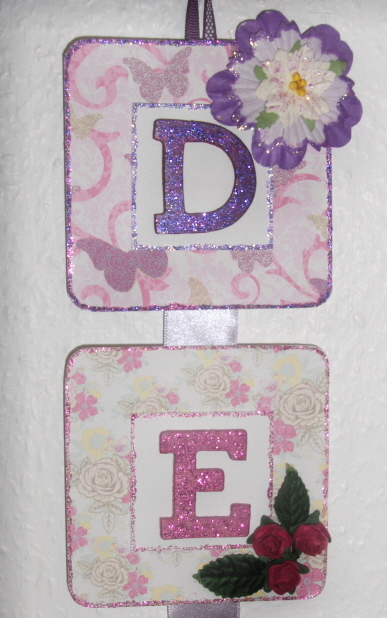 I then made some coordinating flower embellishments using my huge stash of Bee Crafty Blooms and attached them with a strong adhesive. The mats were then linked together using a piece of lilac satin ribbon and hey presto - I had a really beautiful wall hanging.